In the Sufi Path, the sacred bond between the teacher and pupil is of paramount importance because it is through the love of one soul for another, the invisible web of love of highest order is spun. Through devotion, love and obedience to teacher, one arrive at the devotion, love and obedience to God. It is said that: 'the moment spiritual seeker is united with the master, the journey becomes effortless.' The spiritual master is to his pupil, what Jesus Christ was to his disciples, what Prophet was to his companions. By being an exemplar in spiritual state, station and action (both inward and outward) a master transmits much, with and without words. Every relation in the world is unique, so are the relation between a master and his disciple or companion. Even though when a master and a seeker are physically away from each other, correspondence and transmission of message continues. Sometime such transmission occurs through written messages. In sufi tradition, there are a number of correspondences between powerful masters and their disciples. In fact the tradition goes back to Prophet Muhammad himself who used written correspondences to transmit his message. The correspondence or letters a Murshid to a Mureed is called Malfuzat or Malfuziat. Even though of the past, in the east there are a number of such collection of letters between Master and Disciple exist, but contemporary western sufi epistolary work or Malfuziat is rare. In that genre the Book "Letters: Shamcher Beorse and Carol Sill, 1974-1977" is a fresh addition. 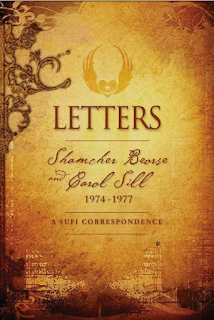 The book features written correspondence between Shamcher Beorse, (a western mystic of Norwegian origin, who had been a pupil of the great Sufi, Pir-o-Murshid Inayat Khan in the 1920’s) and one of his pupil, Carol Sill - who was later instructed by Shamcher to publish these letters. After I came to know about this Book, the author Carol Sill was very generous to send a Kindle version of it which turned out to be a privileged and valuable read. Upon reading it (still reading) one cannot help but remembers Shams Tabrizi, the spiritual master of Rumi and the beautiful bond between him and Rumi. In a very subtle, hidden and beautiful way Shamcher appears to me as Shams in these letters. Feelings so deep, a love so fierce. It took my breath away. The "Introduction" on the book captures nicely the background of the book and when I read it first time I was deeply touched by it. The author, Carol Sill has very generously agreed to participate in a Sohbet series of Interview which, God willing, is soon to be published. But before that I would love to share a highlight version from the Introduction here. Much of sufi teaching is deeply and universally based in a particular beautiful relationship between teacher and pupil. For the pupil, the presence of a friend or teacher catalyzes an experience which is at the heart of the sufi path, the awakening of the sleeping soul to realization. These letters form an intimate document of one such relationship. Murshid Shamcher Beorse was just a name on a list when I began corresponding with him in 1974. I was immediately thrown into the mystical realms through our contact. He was insistent that he was not or never would be a “teacher”, very non-hierachial in approach. I exploded in his presence: the journey had begun! As this happened mainly through the mail and in the air, it is all documented here – in real time. Soon I was swept into the world of the sufis, meeting interesting people who were developed in extraordinary ways, all the while coming closer to understanding my self. 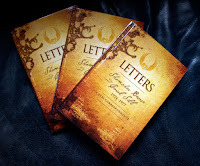 These letters speak of the extraordinary love between sufis – that love of God through one another. I trust that you can understand their mysticism – the winding paths of love, the realm of exquisite sentiment pushed past all limits. Rather than letting love narrow the universe to the points of two individuals, two individuals expand through love. Shamcher taught me to grow love wider than all creation, and to feed all in fierce expansive compassionate understanding. Conventional understanding can only help to a certain point, so I encourage you to simply leap in and read this book as it was written – not as a book but as a correspondence of the soul. There I was - a beginner on the spiritual path. Fly along as Shamcher guides me through the winding routes of Love’s progress, growth and development. Sharing these letters is both intensely personal and immensely impersonal. On the surface, they seem to chronicle a common enough love-story but they actually reveal an extraordinary tale: the seed of humanity’s development is hidden here. As the tree is contained in the seed, so the full flower of this understanding and its fruit are contained in these letters. The seeds are advice intended for my particular personality. For those who can see behind the personal individual advice, this is a universal story, another revelation of the unfolding of the soul to begin life’s work. We corresponded weekly, sometimes daily, through years until Shamcher’s passing in 1980. Naturally, I kept and treasured all his letters to me, but what I didn’t know was that he kept all mine to him, and copies of every letter he sent out. At one point in this correspondence relationship he mailed all my letters back to me, with copies of his own, asking me to put them into a book. I was overwhelmed, but as I put them together, the form of his teaching, my growth, our relationship and the universal love of the sufis took shape before my eyes. ... This book is part of Shamcher’s legacy. He knew it at the time he told me to publish these letters. It exists not so much as my own story but more as a way of contact with him. His approach may be more relevant now than ever. What is in this approach? Freedom of the soul and the immense power of love to transform all walks of life from highest to lowest. Not a monastic path, but right down in the dirty worlds of economics and energy, of politics and education. Every morning, early, before the busy world began its movements, he sat in meditation, turning the spheres from nothing to a tiny sound to the vastness of the multiplicity we call the universe, and beyond. With simplicity he understood and resonated the new physics, the scientific approach, integrating the stuff of the Western mind with the ancient teachings of yoga and sufism. I came to him open, and broken, transformed and still in shock from the sudden death of my 7 year old son, knowing that if I didn’t find a teacher and a path to truth that I would go mad. ... I tried many times to prepare the book when he was alive, but it was far too personal at that time. After he passed away in 1980, compelled to do something with it, I circulated a limited number of spiral-bound copies. Some people cried when they read them, and said they felt his presence as if the letters had been written directly to them. ... When I first corresponded with Shamcher, I knew he was involved in this lineage, but I had no idea that he had been a pupil of Inayat Khan, whose “Orange Volumes” I had read with such dedicated fascination. He only revealed this to me when we met in person. In his influence, for 20 years after meeting Shamcher I was very active in establishing and supporting sufi groups and activities in Canada, creating a space for those with similar interest to come together. The most vital work, however, happened one to one, not in any group, no matter how devoted or dedicated its members might be. The main living transmission occurs here, rooted in this profoundly personal-universal experience. ... The information is all available, including instructions in even the most esoteric and heretofore secret practices of the inner schools of all traditions. Yet there is an awakening of the heart that is a most beautiful confirmation that occurs between an elder on the path and a new seeker. Shamcher guided me through his heart and concentration. With his impression reflected in my heart, I functioned beyond my previous limited self. How wonderful, then, to discover that he also was being guided through the impression in his heart. And so forth through this tradition that permits the aspirant to follow and eventually access this full heart-stream right at its source. This is a tradition of complete and total freedom, once the spark is conveyed. Some shoot out into their lives and professions, into their art or life destiny, others maintain the inner school for new seekers – making a place that retains the deep vibrations of the sacred realms. Many people who knew Shamcher, even only meeting him once, had this experience of awakening. They tell of how their lives were changed forever due to that contact. More significant than any formal event, the true initiation is an intermolecular quantum event occurring between two beings, happening beyond time and understanding. All else is a development after the fact, all practices and advice are ways to maintain or engage in the new way of life, to learn to function in this new greater being. It all starts here in the direct contact heart to heart. Shamcher’s influence profoundly impacted every aspect of my life, yet who was he, really? He was a man who had truly lived – travelling far from his native Norway to establish companies and create enterprises in distant lands as far as Borneo (then Dayak-land). His exploits included working as a jackaroo in Australia, living as a beach bum and journalist in Oceana near Big Sur, writing novels, attending the Khumba Mela, acting as an agent for MI-5, working for the Norwegian underground - ski-guiding escapees from Nazi-occupied Norway to Sweden, participating in a plot to kidnap Hitler, helping restore the Norwegian economy after WWII, seeking buried Nazi gold in China, going on an economic mission to Tunisia for the UN, championing a plan for full employment in the US, and pioneering Ocean Thermal Energy Conversion (OTEC) – benign solar power from the sea which he advocated until the end of his life. As a pupil of the great mystic Inayat Khan, Shamcher not only traveled widely in his chosen fields of energy and economics, but also in the vast spiritual realms which opened their treasure-houses to him. Having sought a teacher and enlightenment in India, he had returned to Norway disappointed, only to find the great mystic Inayat Khan at his doorstep, so to speak. Asked to translate for him, Shamcher met Inayat at a hotel in Christiania (now Oslo.) This destined contact was the beginning of Shamcher’s lifelong engagement with the sufi effort. Combined with his mystical initiation, his world travels through more than 61 countries became more significant vibrationally, spreading the seeds of the sufi thought and attitude wherever he traveled. Shamcher lived intuitively, remaining mostly in the US after WWII. He married his wife Evelyn when he was at the age of 54, and they had two children, Bryn Jr. and Daphne, both of whom live in the Pacific Northwest. He supported all sufi efforts, including those of Pir Vilayat in organizing the Sufi Order. Later Shamcher was instrumental in bringing together this organization and the group founded by his friend and fellow pupil of Inayat Khan, Samuel Lewis. This union caused a great flourishing of the sufi effort in North America through much of the ‘70s. Described by Pir Vilayat as “the esoteric head of the Sufi Order,” Shamcher was still adamant that hierarchies and formal initiations were no longer necessary, and he worked tirelessly to spread these ideas with his friends and pupils, as these letters reveal. He was very supportive of the work of Hidayat Inayat Khan also, as well as other sufis and great souls who were not affiliated with any particular organization. His impact as a contemporary Western mystic has remained mostly unknown to the world. He often pointed out that he didn’t exist. 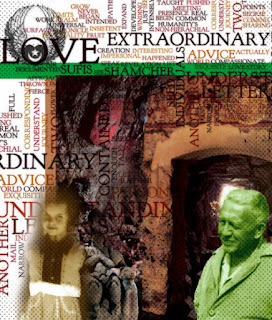 Shamcher’s inner drive that humanity must survive was always uppermost in his life’s mission. In his later years he dedicated himself entirely to promoting awareness of the OTEC solar power system, working as emeritus from his office at the University of California Richmond Field Station. This was the man I found myself corresponding with, whose letters were so catalyzing. Because a great deal of our communication happened without the senses that we normally use to experience life, there is a metaphysical experience to which this book always refers. I still marvel at how Shamcher did this - how did the being of this man reach a stage of evolution that enabled him to communicate fully and completely across distance, across time, and without any physical communication whatsoever? ... His presence gave me strength of purpose and understanding that allowed me to go forward in my spiritual life and also in my daily life to grow and overcome the grief of the loss of our son. With Shamcher at my side I opened to a world that had been previously closed to me. In this world I was a neophyte, dazzled and astonished as I was learning how to live without my body, and to proceed without my eyes, my ears, and even without my mind. In this new world all knowledge became intuitively available. Sharing with Shamcher this awareness of eternal life was the experience that we called love. On earth this word has many meanings. In the sufi tradition, love has always been the word used to describe the impulse that is the creative force of God, Ishq. The limitation of our senses (and of our identification with our senses) keeps us separated from this marvelous world which is our birthright. Through Shamcher’s skilled teaching, I learned to live outside these limitations imposed upon us in life on earth. His presence and help infused and surrounded me in my every action and gesture, and in my communication with every person. It was truly wonderful to connect with Shamcher and his incredible inheritance from the yogis of the Himalayas, along with all the wise beings who have contributed down through the ages to the exquisite path that is the sufi caravan. Publishing these letters 40 years later brings me back to that tremendous gift of truth. I see again the beauty and supreme ecstasy of life lived within the powerful and extraordinary world where the senses do not control all perceptions. My hopes, dreams, and way of life were all formed in those years when he and I were in our deepest contact. I understood that following the path of my soul’s inner reality would lead to my true destination in the purpose of my life. I don’t regret that I didn’t directly fulfill the promise which Shamcher had so clearly seen and which he had with all his heart and being wished for me: for in the end, I made my own path. This had also been his wish. After meeting Shamcher, I was involved for many years in activities of sufi traditions and orders, where I met extraordinary, dazzling, beautiful souls living lives that were open and true, following the will of the divine. I love the sufis and the exquisite teachings of Hazrat Inayat Khan and am so grateful to this beautiful culture of Love, Harmony and Beauty. Outside the sufis, I also saw remarkable individuals who had achieved great abilities and intuitive awareness. They hadn’t participated at all in any sufi tradition, yet were freely engaged in the quest. I became more aware that outside formal organizations are many exquisite souls yearning for truth, spontaneously discovering pathways to realization within themselves. Wasn’t this predicted in the Diamond Sutra, that souls in the last 500 year period would spontaneously awaken to their own Buddha nature? The further I stepped into the world, the more I realized that every human being is part of this remarkable natural symphony. There are so many people who follow the inner spirit of guidance and help humanity to survive, awaken, and evolve. Still, as I prepared these letters for publication I wrestled with the paradox of who I was at the time of writing: a young woman in her late 20’s, compared with who I am today: a grandmother in her 60’s. Then something Shamcher once wrote to me popped into my mind. He said, “The man who first met you at the ferry is now gone,” meaning that he had totally changed. And, he implied, it was not only him, I had changed, too. So, the “people” who had met each other that fall of 1974 are both gone, and have already been absorbed into the whole universe; we don’t exist. These letters are not the story of a teacher and his pupil, nor are they a love story; they are simply an artifact - a ticket. A ticket for the train to a destination we are all going to. If you can find even one sentence that can open a new way of seeing or feeling, or can reinforce something that you have experienced in your own life, or perhaps can give you joy, then know that the unseen realm in which Shamcher and I were communicating has a place within your being also. I was given your address by the Sufi Order as I am interested in finding out more about sufi activities. Will Pir Vilayat be giving any seminars near Seattle? Are there any sufis in Canada? I hope to hear from you soon. 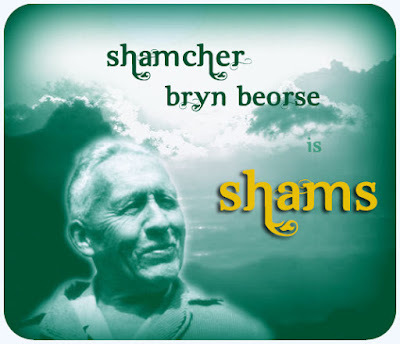 * Who was Shamcher Bryn Beorse?